Our modern way of life is very different to previous generations – in some ways its better and some ways its worse. However, as far as our exposure to toxins and the affect this is having on our health is concerned, today we are at a greater risk of being harmed than our ancestors ever were. And this is because toxins are simply everywhere; in what we eat, in the air we breathe, in what we put on our skin and everywhere else. And at the end of the day, there are two things which cause disease within the body – stress and toxins. I’ll talk about stress reduction in another post, but what about toxins? 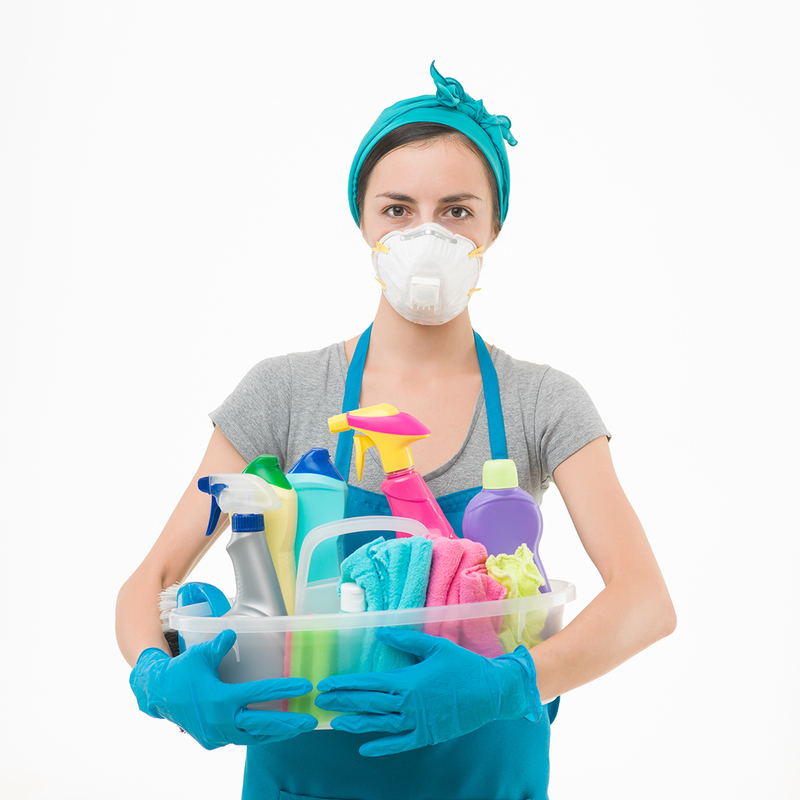 The reality is that all toxins are dangerous in their own way, and some more than others. Most are linked to virtually every physical and mental health problem that exists today, including depression, cancer, and obesity. *Replace processed foods with fresh foods. *Choose organic fruit and vegetables or grow your own. *Chose organic meats and dairy products. *Avoid meat glue (an enzyme used to glue scrap bits of meat together to look like a natural piece of meat). *Eat smaller fish like sardines and shrimp instead of larger ones like swordfish and tuna. *Use unrefined, organic coconut oil for everything including cooking. Extra virgin olive is also good, but only cook with it at low temperatures. *Minimise your intake of sugar. *Reduce your intake of gluten. *Minimise soy products – we are not sure if they are safe yet. *Avoid genetically modified products (GMO’s) – we are not sure if they are safe yet. *Filter your water to remove nasties like chlorine, fluoride and heavy metals. *Avoid sports supplements like protein powders and energy bars unless you are an athlete – most contain many harmful toxins. *Avoid eating out too often – most restaurants use cheaper and inferior ingredients to maximise profits – you really don’t know what you are eating unless you make it yourself. *Try to eat Australian products – we have a long way to go, but our food practices are often of a higher standard than countries like China. *Only chew natural gum – most chewing gum is highly toxic and should be avoided at all costs. *Virtually all medications have numerous side-affects due to the large amount of toxins contained within them (e.g. antidepressants). It’s important to know what these side-affects are and weigh whether or not it is worth taking them. Ensure to speak to your doctor before making any changes to your medication. *Avoid capsules but if you need to take then, try to use ones made with vegetables, rather than gelatine which contains dangerous xenoestrogens. Others such as many of the so called natural vitamin E capsules, are often made from the dregs of soy oil processing tanks, and can make you gravely ill.
*Limit your intake of Alcohol – yes it is a toxin and especially so if drunk in excess. *Avoid drugs like ice and ecstasy which are dangerous toxins. *Never use pans lined with Teflon and Silverstone (the fumes kill birds and so can harm you). *Replace any aluminium, metal, or copper cookware with ceramic, cast iron, or stainless steel, stoneware, glass and corning ware. *Replace all of your plastic utensils with 100% food grade silicon ones (not simply silicon coating). *If you have a dishwasher replace your rinse aid with white vinegar, and chose only natural dishwashing tablets. *Use brown paper bags instead of foil, plastic bags or gladwrap where possible. *Use glass rather than plastic for food storage containers. *Use a glass or stainless steel drink bottle. This is an area where a lot of people get caught out. It’s important to remember that what goes onto your body also goes into your body. So, if it isn’t pure enough to eat, then it’s not good enough to put on your skin. Things like body washes are even worse because the toxins don’t only get absorbed via your skin, but also they get vaporised and you breathe it in too. *Use natural toothpaste and mouth wash.
*Ensure to use only natural shampoos and conditioners. *Use natural shaving gels and aftershave. *Choose natural hair styling products such as wax, gel, fudge and avoid hairsprays. *Use only natural hair dyes. *Minimize your use of perfumes/fragrances and always spray on your clothes instead of your skin. *Ensure to use only natural cosmetics/makeup and try to have days where you wear nothing at all. *Avoid getting ceramic nails – instead look for natural alternatives or grow your own nails. *Use only a natural organic lip balm. *Use only natural and organic tanning products. *Buy fragrance free fabric softeners, and unscented paper goods such as toilet paper, tissues, paper towel. *Avoid using fragranced candles, incense, essential oils (the pure/really expensive ones are fine), etc. Mercury, Nickel, Titanium, Fluoride, BPA, and Latex are just some of the highly toxic materials used by dentists, in things like plates, fillings, root canals, etc. The best advice is to see a proper holistic dentist who can remove many of these toxic substances from your mouth, and replace them with materials which are much safer. Top up your private health insurance first – this can be costly! Many people today are opting for procedures to make them look younger but due to the toxins used and dangers involved I think you should instead just try to look the best you can at the age you are and not worry about it. *Avoid getting implants like breast implants – are strongly linked to cancer/lymphoma. *Avoid Botox and facial fillers. *Avoid chemical peels and similar treatments. *Avoid inking yourself – Tattoo ink including permanent cosmetic make up, both contain toxins. So many of the worlds clothes now are coming from countries like China, but often Chinese cotton is of such poor quality that they permeate it with Formaldehyde to give it body. And don’t just think its cheap brands either – Global designer brands such as Armani, Levi’s, Zara and many others have all been shown to contain dangerous levels. Remember, the skin is very absorbent: why do you think we have nicotine patches or hormones patches? Obviously everyone has different sensitivities and most people won’t notice an immediate reaction. Sure they may get itchy/hives or feel a bit nauseated, however the real issues like cancer begin to surface later on. *Avoid synthetic fabrics (hold up jeans) and instead only wear natural fabrics like cotton, hemp, linen, silk and wool. *Avoid wrinkle free clothing – which often contains Teflon. *Use a natural mattress/bedding – you spend one third of your life on it. *Ensure that your exercise/yoga mat is safe as most contain high levels of toxins. *Only use fragrance free bin liners. *Use a steam mop to clean just about anything without any chemicals. *Use only natural laundry detergents – they are better for your garden too. *Use extra caution not to inhale the dust if emptying bag-less vacuum cleaner cartridges. Or use one where you can throw away the bags instead. *Choose natural pest and garden sprays where possible. *Close your air vents when driving in heavy pollution/high traffic areas. *Use natural air fresheners instead of chemical ones – coffee beans, eucalyptus spray or baking soda are all good. *Avoid standing over the fuel vapours when filling up your car with petrol. *Avoid getting straight into your car on hot days – air it out first. There are thousands of different carcinogens in the workplace, dependent upon where you work. If you’re a tradie, then dust, chemical and fumes might be a hazard. And if you work in an office, then fluorescent lighting, carpet cleaners, paint, and computers may be affecting your health. Do what you need to do to reduce toxins in your workplace or at least protect yourself from them. Watch your mobile phone –Use headphones or a hands free set, and wherever possible and avoid carrying it in your pocket too. Cordless Phones are also nearly as bad. Consider buying a protective case which fits over your phone and helps to minimise radiation exposure. Ditch your phone watch – Do you really need a phone on your wrist? Unless you’re Maxwell Smart then I highly doubt it. Refrain from using a phone watch at all costs. Refrain from using fitness tracking bands – Unless you are a professional athlete, then you have no reason to use a fitness tracking band. But if you must, then only use it when you want to monitor your structured exercise which is often no longer than an hour at a time, not your incidental exercise which is often measured over the entire day. And definitely don’t wear it to bed either. These things do more harm than good. Computers and Tablets Devices – Limit your exposure; many people now read eBooks on their tablet – if this is the case ensure to turn the Wi-Fi off. Also ensure your kids limit their time on these devices as they are more susceptible to radiation than adults. Either way there are screens you can buy which reduce radiation. Modems –Turn your modem of when you don’t need to access Wi-Fi including when you go to bed. Electricity Meter/Smart Boxes – Ensure it is installed well away from where you sleep. If not then shift rooms. Baby Monitors – Keep baby monitors as far away from your baby as possible and only use when necessary. Electric blankets – You don’t need an electric blanket but if you must, then heat up the bed before you go to sleep then turn it off from the power point before you go to bed. As you can see, there are many toxins in our environment wreaking havoc on our health. At the end of the day, we can’t eliminate all of them, but we can reduce them to the point which will have a profound difference on our health. Every bit helps so just begin to make small changes like swapping your deodorant this week, and then your cookware the following week. As you do so, you will literally begin to feel the difference in your health, and want to remove even more toxins from your life by swapping over to safer alternatives. If you are concerned with the level of toxins already existent in your body, then it may be worthwhile getting tested. Speak to a good naturopath as well as your doctor who can advise you further. So I’m curious, what things/products have you swapped in your life, and how do you feel from doing so?